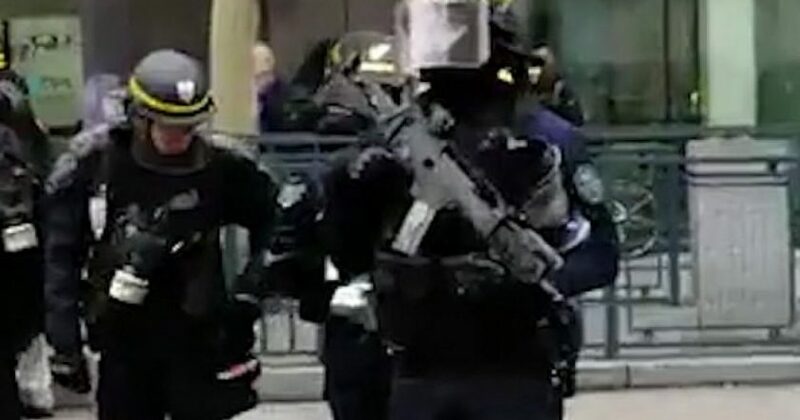 French riot control officers responding to ‘Yellow Vest’ protests have been seen equipped with loaded Heckler and Koch G36 semi-automatic rifles, as the protests against the leadership of French President Emmanuel Macron continue into their seventh week. 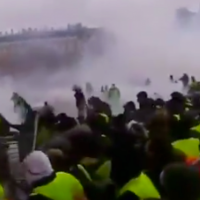 This comes as a former French education minister, Luc Ferry, has called for French police to open fire on who he perceives as violent demonstrators. Previously, police responding to the populist protests had deployed tear gas, rubber bullets and other crowd dispersion techniques, often with mixed results. Despite attempts by Macron to ameliorate the mass backlash against his neoliberal policies, the ongoing working-class demonstrations show no signs of coming to a halt anytime soon. Having achieved their initial policy goal of getting Macron’s government to scrap a planned diesel fuel tax, many of the ‘gilet jaunes’ protestors are focusing on issues central to the working class’s quality of life in France, such as cost of living, declining wages, and rising prices.